This design is the most classic of our letterpress baby announcements. 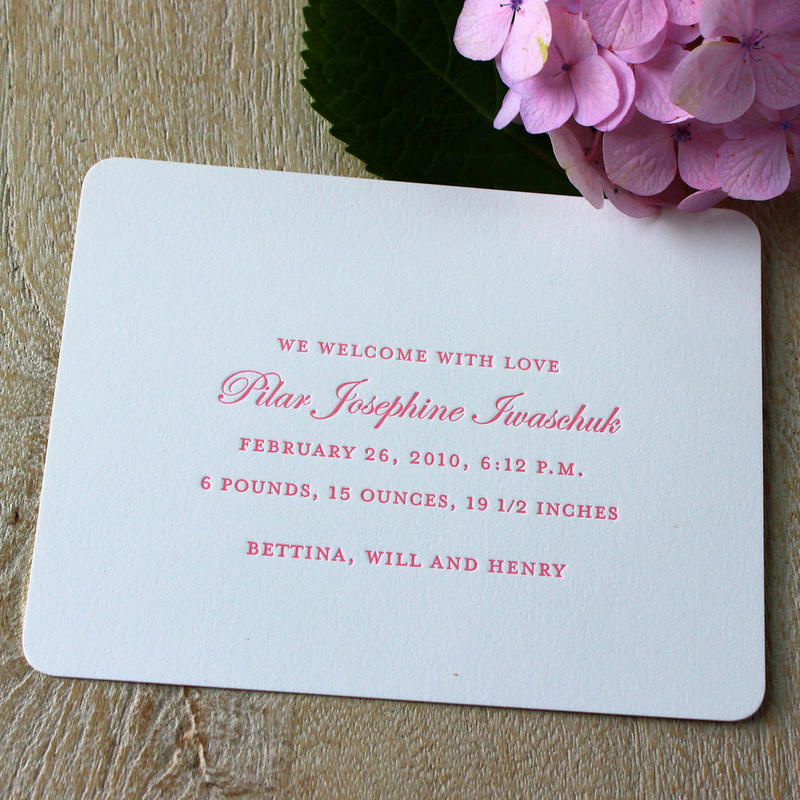 The quality of the letterpress impression really shines because of the simplicity of the design. Let the text, especially your newborn's name, speak for itself and think about adding extra visual interest with painted edges or lined envelopes.